Despite over half a century having passed since the end of its construction, the “Stalin houses” have not lost their popularity. Experts praise these buildings and indicate that they can compete with new buildings and even luxury residences. In this case, designer Victoria Fandyushina has renovated one of these old homes, located at the centre of Moscow, with materials from PORCELANOSA Group. The materials were selected at ZODIAC Interior & Ceramics, which is currently leading the quality ceramics market throughout the Russian Federation. 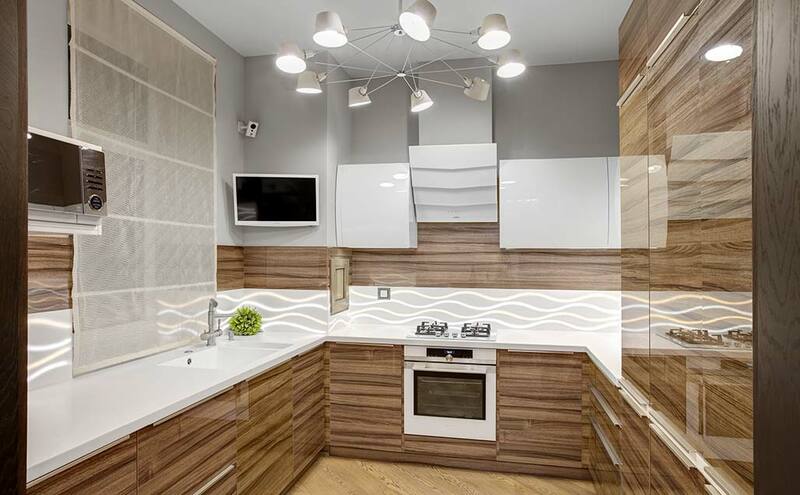 With theSolid Surface KRION, Victoria Fandyushina designed an original and modern kitchen, in which the milled low relief materialKRION 1100 Snow White allows backlighting in the form of waves in warm and cool tones.